Emerging Afro-Hiphop/pop singer is building up to the Flavour-assisted collaboration titled ‘Uju’. The vocalist and instrumentalist – proficient in guitar, drums and gong – delivers his new solo single, an uptempo effort. Oludo was based in Cairo Egypt where he has been honing his craft and won the ‘Best New Artist’ category at the Nigerian Entertainment Award in Cairo before he return to motherland. 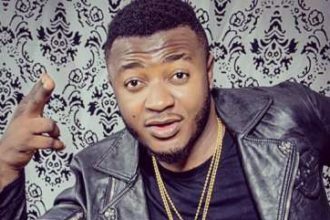 The act who has been working on a handful of new music has scored collaborations with the likes of Flavour Nabania, production from Masterkraft for ‘Robo’ and several others. The BMG ensigned act says he is influenced by Fela, Orlando Owo, King Sunny Ade which is reminiscient in his style of music. Watch out for the video for ‘I Pray’ directed by Michael Williams.